Finalist, 9th Annual National Indie Excellence AwardsFast, fun, and engaging, this book makes sleepy time special for children and parents alike. Follow the kangaroo through the zoo as he gets ready for a nap-a-roo. Little ones can't get enough of this adorable modern book that centers around naps. With colorful images and imaginative text, this story is easy to fall in love with. 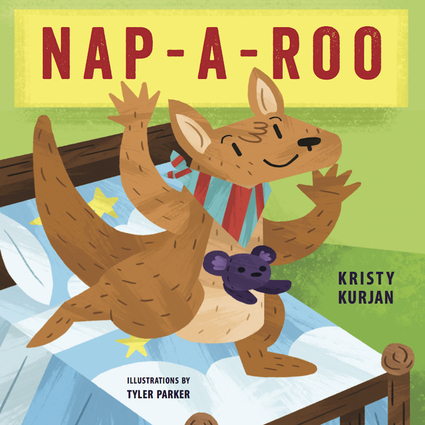 Children will enjoy taking a nap-a-roo just like the kangaroo. Kristy Kurjan is a writer, stylist, and creative entrepreneur. She enjoys running, boating, and reading to her family. She lives in Traverse City, Michigan. Tyler Parker is an illustrator and ukulele enthusiast. His background is in sequential design. He lives in Seattle, Washington.